ABU DHABI, 27th August, 2018 (WAM) -- Sheikh Nahyan bin Mubarak Al Nahyan, Minister of Tolerance, has said that the women empowerment in the UAE began with the establishment of the union, with unlimited support from the Founding Father, the late Sheikh Zayed bin Sultan Al Nahyan, who was a strong supporter of women. 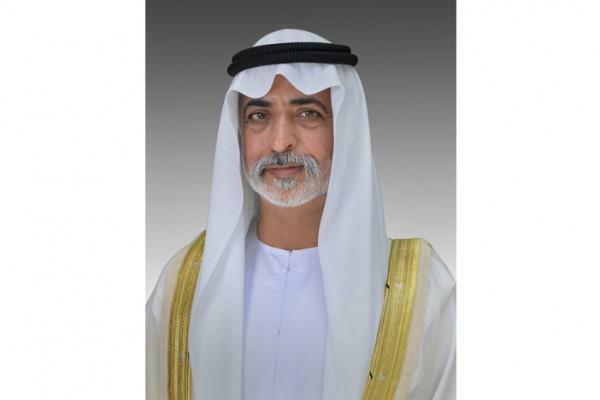 On the occasion of Emirati Women's Day, marked on 28th August, Sheikh Nahyan congratulated H.H. Sheikha Fatima bint Mubarak, Chairwoman of the General Women's Union (GWU), President of the Supreme Council for Motherhood and Childhood, and Supreme Chairwoman of the Family Development Foundation (FDF), and expressed his profound thanks and appreciation for her significant role in achieving the leadership and excellence of Emirati women in various fields. Sheikh Nahyan praised the efforts of President His Highness Sheikh Khalifa bin Zayed Al Nahyan, His Highness Sheikh Mohammed bin Rashid Al Maktoum, Vice President, Prime Minister and Ruler of Dubai, and His Highness Sheikh Mohamed bin Zayed Al Nahyan, Crown Prince of Abu Dhabi and Deputy Supreme Commander of the UAE Armed Forces, in empowering women and enabling them to occupy leadership positions in the society. He added that Emirati women had made full use of the substantial support they have been receiving all over the past years from the wise leadership. He also expressed his pride in the vision of H.H. Sheikha Fatima and her pioneering initiatives in removing all social and economic obstacles that prevent women's advancement.